Lynn DeWolfe at Woburn District Court on Tuesday. WOBURN — Massachusetts State Police Colonel Kerry Gilpin ordered an independent investigation Tuesday of the department’s handling of a fatal motorcycle crash in August, including its failure to tell prosecutors of missteps allegedly made by troopers in the moments leading up to the crash. The announcement follows a Globe report revealing a state trooper let Lynn DeWolfe go after another crash earlier that morning, despite 911 calls that she appeared to be driving erratically and on drugs. Minutes later, DeWolfe allegedly crashed again, police said, triggering a collision in Reading that killed Christopher Weisz, a 42-year-old father of three from Bedford. 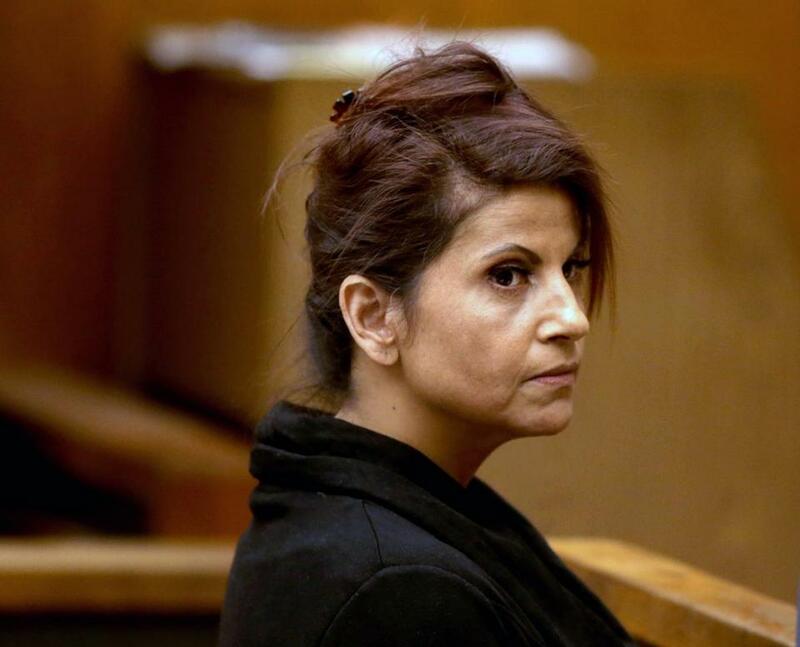 The group demanded an inquiry moments after DeWolfe, 51, of Tyngsborough, appeared in court for a status hearing on charges including operating under the influence of drugs. DeWolfe, a twice-convicted drunk driver, had a breath-test device on her car. Her license is now revoked and she is currently under house arrest but allowed to attend alcohol addiction treatment and counseling. When a state trooper arrived at the crash scene, he observed no signs of impairment and sent the driver on her way. Nineteen minutes later, a man was dead. In court, Assistant District Attorney Julie Kunkel said State Police had just completed an accident reconstruction investigation and provided prosecutors with a 79-page report a day earlier. Judge Timothy Gailey said from the bench that new charges may be brought against DeWolfe. She and her attorney, Arnold “A.J.” Blank, declined to comment Tuesday. She is scheduled to appear in court again on May 31. 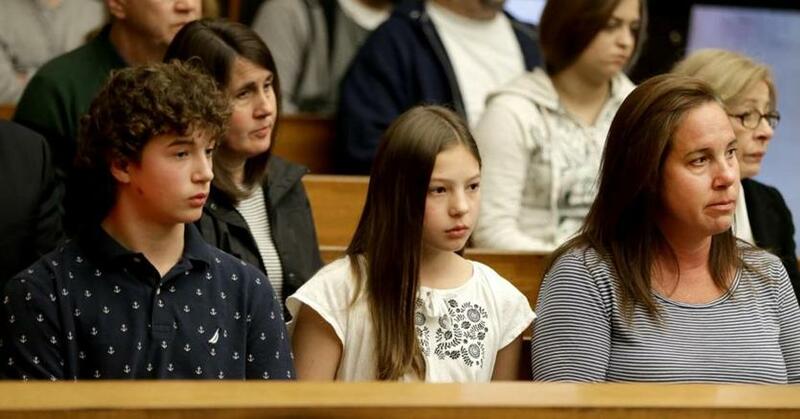 Maxwell Weisz, left, with his sister Grace Weisz middle and his mother Alexis Weisz were at Woburn District Court. Hours after the court hearing, Gilpin ordered an independent probe of the entire case, including the trooper’s decision to let DeWolfe go earlier that day, and “to determine how and why” information was withheld from prosecutors, according to spokesman David Procopio. Gilpin learned only last week, following Globe inquiries, that the Middlesex district attorney was not in possession of the relevant documents, Procopio said. The department will use someone outside the agency to conduct the probe. The identity of that person will be released soon, Procopio said. 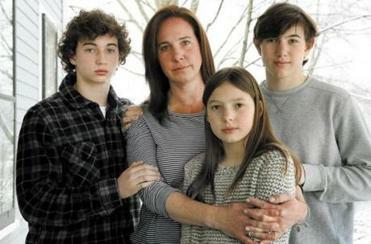 DeWolfe’s case gained increased attention after the Globe reported Sunday that she had been questioned by a trooper before the fatal crash, and that State Police had kept information about that interaction from prosecutors. No one in law enforcement alerted Weisz’s family to the earlier interaction. On the morning of Aug. 24, a 911 caller alerted State Police that a driver was “all over the road” on Route 3 in Chelmsford, her head bobbing up and down as if she were on drugs, according to reports. He provided a description of DeWolfe’s silver Saab and plate number, but Trooper Michael Benevento, who took the call, didn’t broadcast the report over the police radio, police reports show. A second caller told police moments later that the same driver, identified as DeWolfe, slammed into his car on Route 3 in Burlington. He said she looked “out of it” and screamed that he caused the accident by backing into her, according to reports. Trooper Daniel Hanafin was dispatched to the crash scene by Benevento, who texted him about the first 911 calls that he failed to broadcast earlier, according to reports. DeWolfe puffed into the breath-test device installed on her car and started the engine, and Hanafin concluded she wasn’t drunk. He told State Police investigators he administered a horizontal eye test, requiring her to follow his finger with her eyes, the Globe has reported. Hanafin let DeWolfe drive away at 9:14 a.m., records show. Nineteen minutes later, DeWolfe allegedly crashed into a car driven by an 85-year-old Natick woman, causing it to strike a Jersey barrier, spin around, and veer into oncoming traffic on Interstate 95 north in Reading, hitting Weisz’s motorcycle and two cars, according to police. DeWolfe allegedly fled the scene, hit more cars, and got stuck in the median in Wakefield. Police said she couldn’t walk without losing her balance, had “droopy” eyes, and didn’t know what month it was. She told police she had taken Lorazepam, commonly used for anxiety, and Gabapentin, for back pain. State Police found Hanafin — the son of a retired lieutenant colonel — didn’t have probable cause to arrest DeWolfe but found he violated regulations by failing to write a report. Benevento was found to have violated regulations by failing to broadcast or log the 911 call. Both troopers were docked a day’s pay. The state’s largest law enforcement agency has been battered for months by a series of scandals and controversies. Last month, Baker and Gilpin pledged a number of reforms intended to repair what they called the police force’s “tarnished” reputation. @globe.com. Follow her on Twitter @shelleymurph.